Polaris Trading Group (PTG) provides institutional quality comprehensive futures day trading education that includes an Online Knowledge Course, Live Trading Room and ongoing Training and Mentoring. Thirty-Six (36) year veteran trader of Investment Banks and Hedge Funds, David Dube moderates the PTG Trading Room, where he provides traders specific information and institutional analysis on current market conditions. 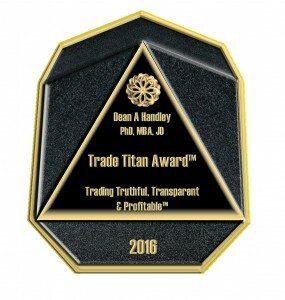 We are excited to announce that Polaris Trading Group (PTG) has received the 16th Global Trade Titan Award by internationally recognized, Emergent Expert and Trading Consultant Dr. Dean Handley, PhD, MBA, JD. Blending Market Profile (Structure), Volume Analysis, Statistical Price Zones (STATX), well defined Trade Setups with specific Entry, Exit, and Price Targets. Each morning’s Pre-Market Briefing establishes specific actionable demand and supply zones from which to execute various trend or non-trend trade strategies. As the trade session unfolds, Dynamic S&R levels are continuously updated in real-time which keeps our traders in the “now moment”, avoiding pitfalls such as confirmation biases. 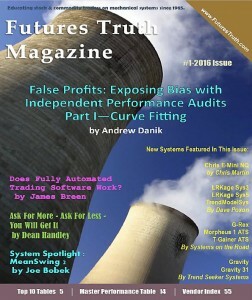 Professional Grade Analytical Indicator Tools that compliments the PTG Trading Methodology. Proprietary Designed Modules such as Balance Chart, Trender, Cycle-Trend, D-Level & Money Box, TargetMaster/X-Zones, Position-Sizing Reward/Risk Algorithm and much more…provides the retail trader with the added “edge“ required to develop into a consistent professional trader. I would like to personally thank you for visiting with Polaris Trading Group and would like to extend an invitation to subscribe to the PTG Trading Room. Come visit with us and see how our Methodology can help you improve your trading results.